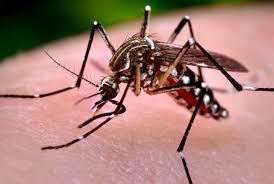 Reports are still coming that Dengue Fever remains a serious problem on the Thai / Burmese border. The Thai Ministry of Health report that in 2015 141,375 cases were treated nationally with 141 confirmed deaths. Since the end of July 2015, on the Thai / Burmese border 39,597 cases of Dengue fever have been documented. More than 42% of cases were school children. Figures from the Karen side of the border would be higher as health care services are services are less available than they are in Thailand and mosquito control measures are less intensive. Experts are blaming an exceptionally we season that enables the Aedes mosquito (the carrier of the Dengue fever 4 viruses that cause dengue fever) to have a longer breeding season. Donations to Buzz Off help us to train people living in this region to control mosquito breeding areas and to avoid mosquito contact. Tax deductible donations can be made to Buzz Off here; using the Australian Mercy secure site.